Honor your Fur Baby with this sweet set. 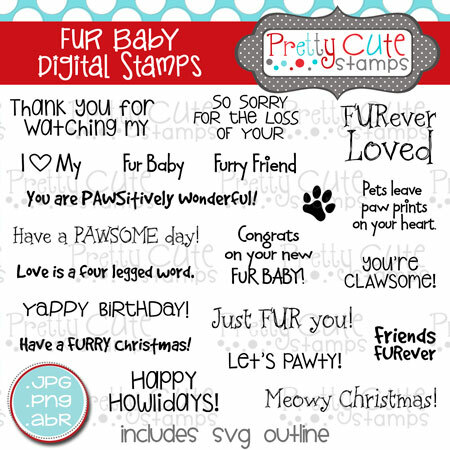 This DIGITAL set of 20 stamps features lots of PAWsome sentiments. Pets leave paw prints on your heart.